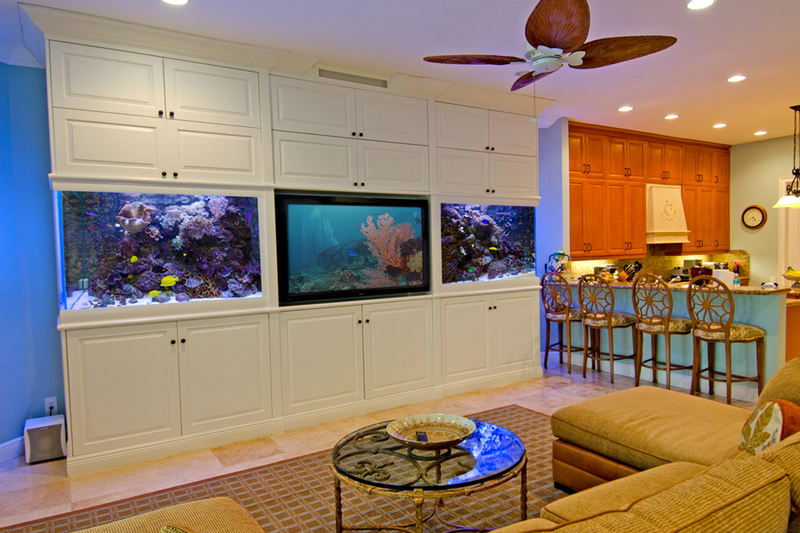 500 Gallon Living Twin Coral Reef - REEF AQUARIA DESIGNREEF AQUARIA DESIGN | Every great room deserves a great aquarium. 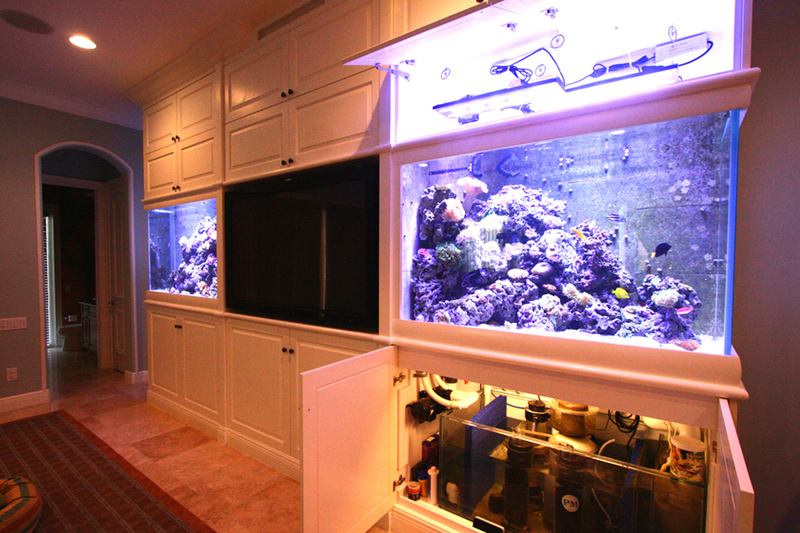 Commissioned by a seasoned aquarium hobbyist, these twin aquariums were designed to be the client’s ultimate expression of his love for coral reef aquarium keeping. Located within view of the most popular areas of the home, the rich beauty of the vibrant aquariums are never far away. The twin systems are supported by a common filtration and life support system that is discreetly hidden within the custom built traditional mill-work.